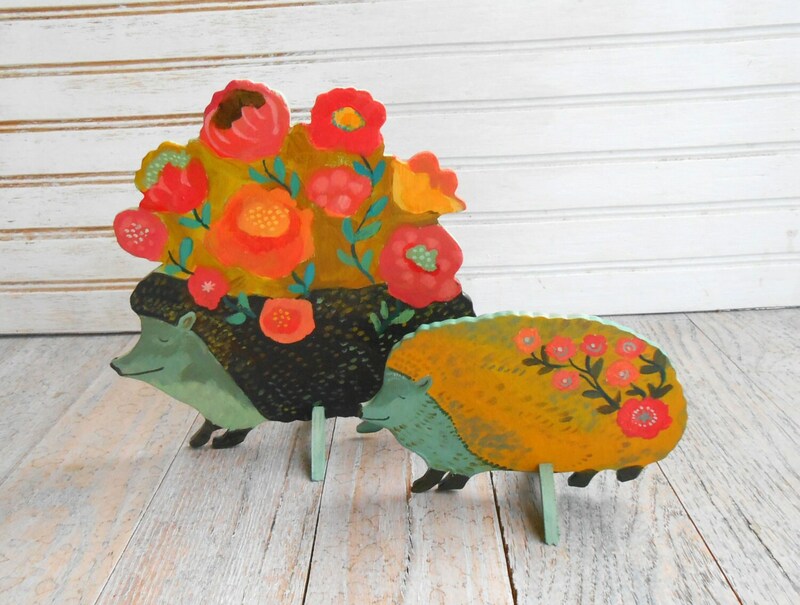 Mommy and Baby Hedgehog wall sculpture/sign/stand. Mother and baby hedgies bursting with blossoms as they take the woodland route. 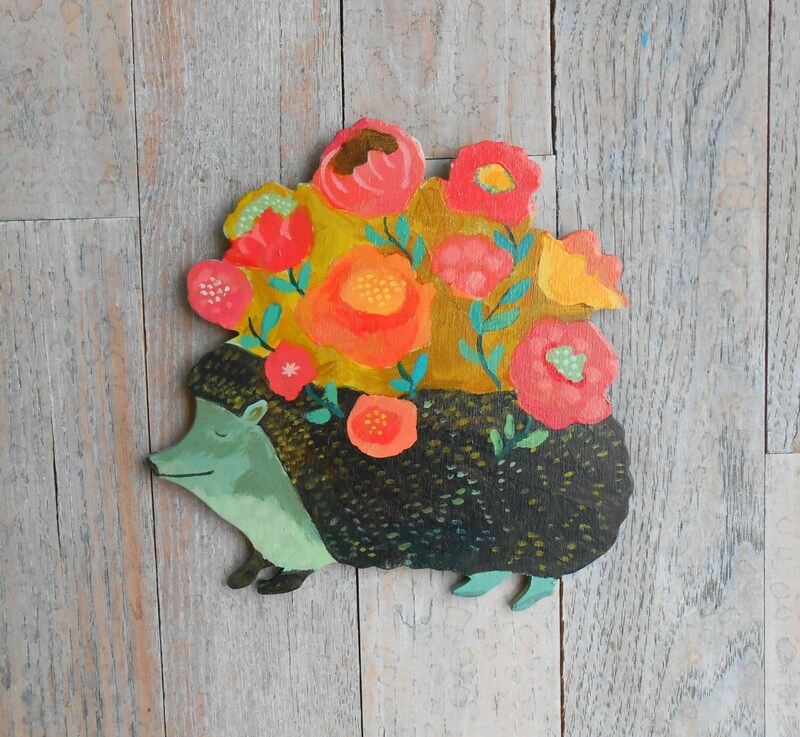 This is an original painting on scroll cut wood, it is not a print! Each is unique and painted with a great deal of detail and color. 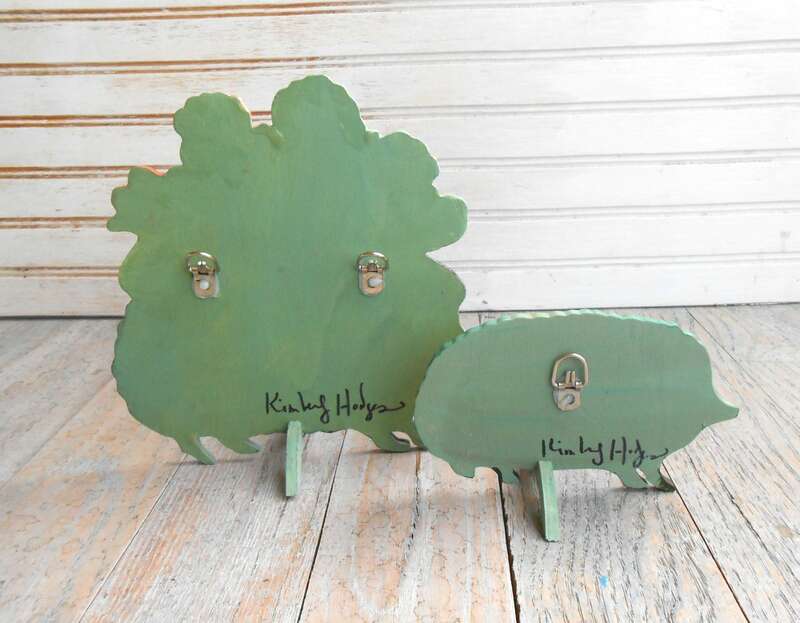 They comes with their own wooden stands as well as metal hangers on back so that you can hang on the wall or as a vignette on a shelf or dresser. They were inspired by an old childhood favorite picture book of mine called Miss Jaster's Garden. It is about a hedgehog who mistakenly gets flower seeds in his spikes and so grows the flowers on his back. 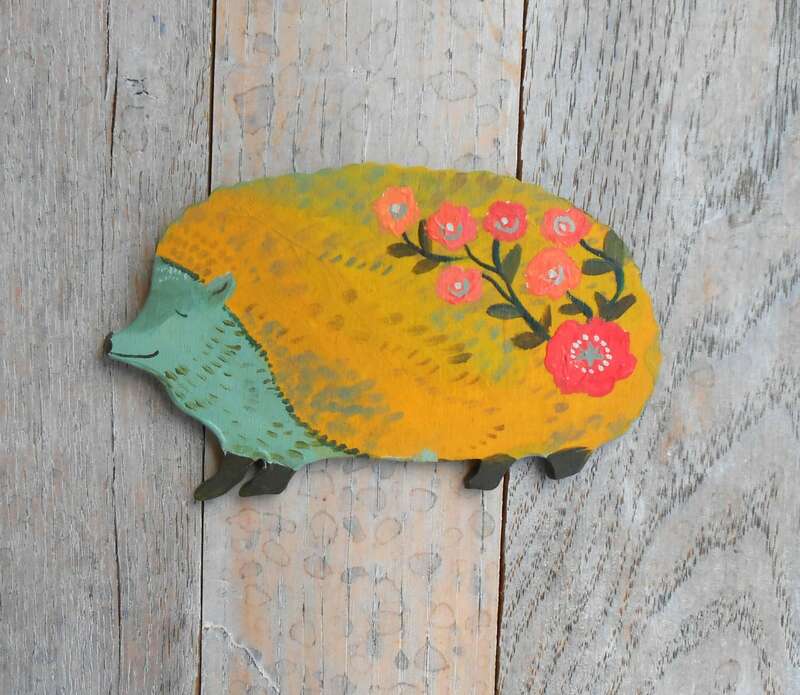 Hedgehogs carry many symbolic meanings including fertility, resourcefulness, protection, abundance and intuition. 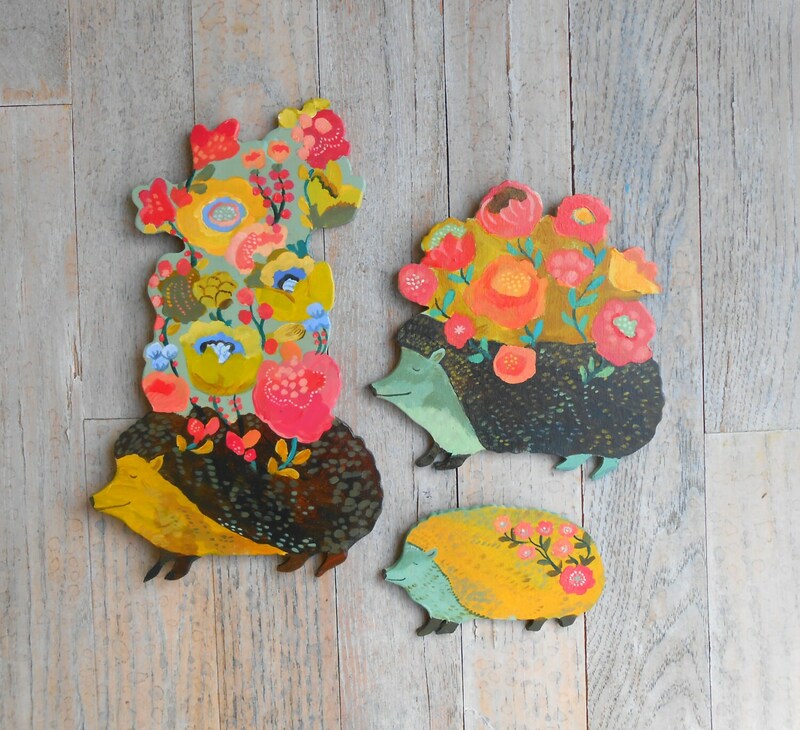 They make for wonderful child's or baby's room decor or gift. Every piece is handcut and painted by me and is made to order. This set comes with a handmade hang tag and is shipped USPS with tracking within 7 business days of your order. If you would like it sooner just convo me and I will do my best.